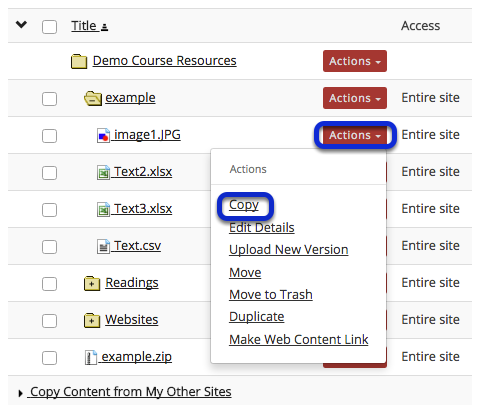 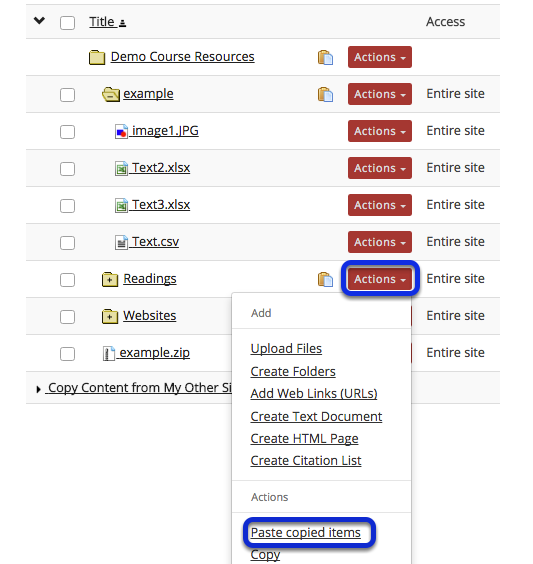 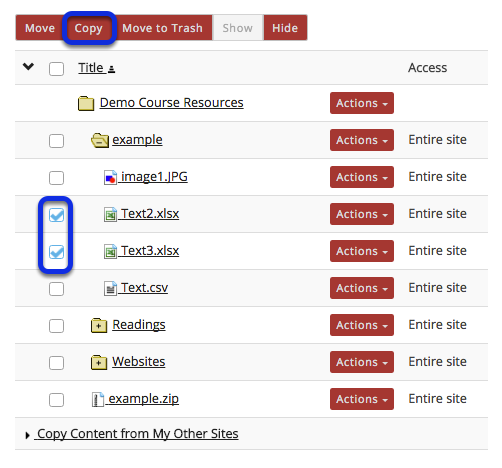 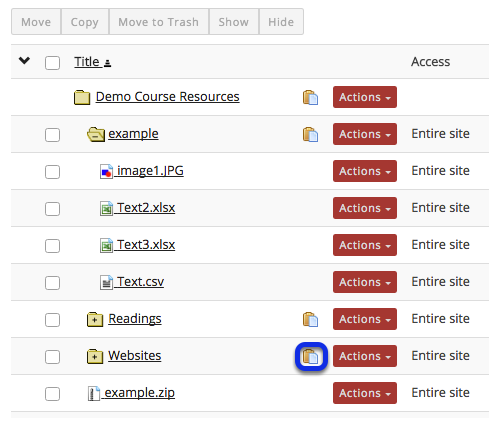 Instructor User Guide ResourcesHow do I copy a file or folder within Resources in the same site? 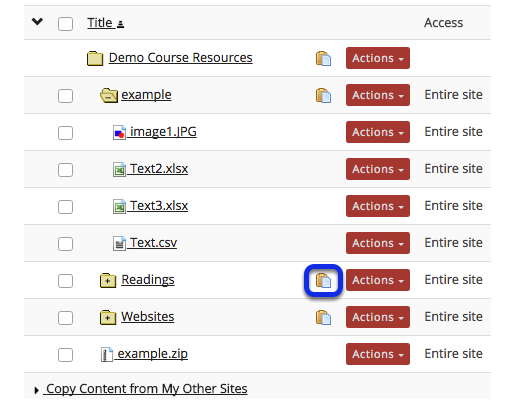 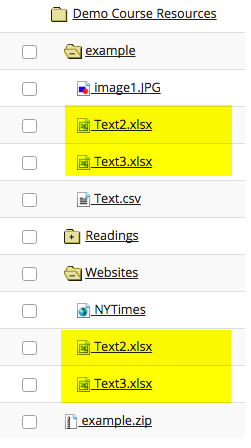 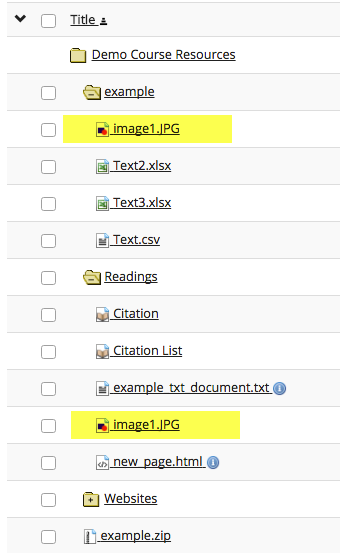 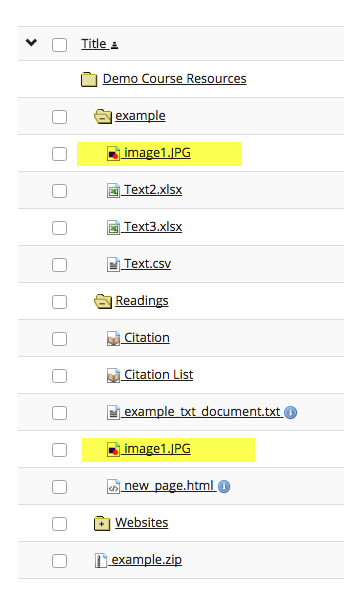 This returns the display to the Resources page with a copy of the the file or folder in the new location. 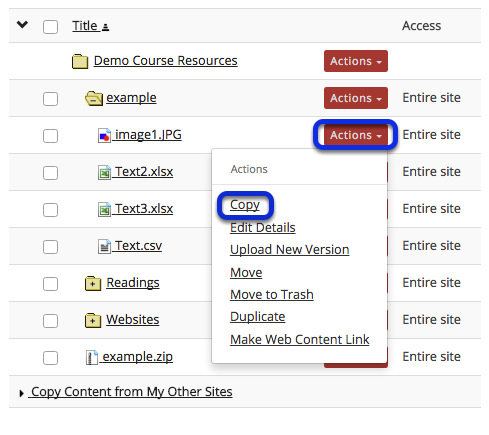 This returns the display to the Resources page with a copy of the file or folder in the new location.